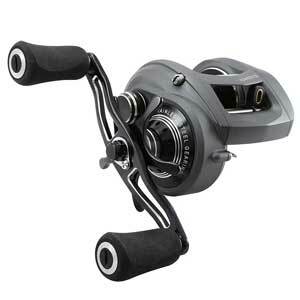 Recently, the main baitcaster that dominated the freshwater fishing market is the low profile fishing reels. 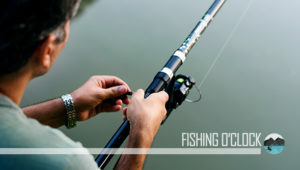 To fish for bass and other equal sized fish, you will need fishing lines that are rated at high prices. The low profile baitcast reels come in smaller sizes in contrary to their curved bait cast cousins; this makes it easier for them to be handled while fishing. The Okuma Komodo SS is a bait caster that designed with attractive grey paint. The expertise of the frame and side plate is balanced with the other reels of the same class. 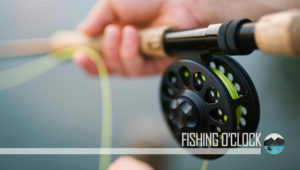 This reel comes in both a Twin Paddle option and Power handle, and the overall length of the handle (which is 100 mm long) makes the usage of the reel smooth. This way, the Twin Paddle option is usually preferable. For perfect operation, a precision machine is used to cut the stainless steel pinion gear and it was designed with a Corrosion-Resistant Coating. Due to the larger size of its casting, the Okuma Komodo SS performs better when casting bigger, heavier lures. This makes it easy to handle any bigger lure with no issue. With this, it can also handle throwing smaller bait. Also, the reel also plays equal parts in the musky rod and line test. It has a quick-set anti-reverse roller bearing and a 6-pin Velocity Control casting system. 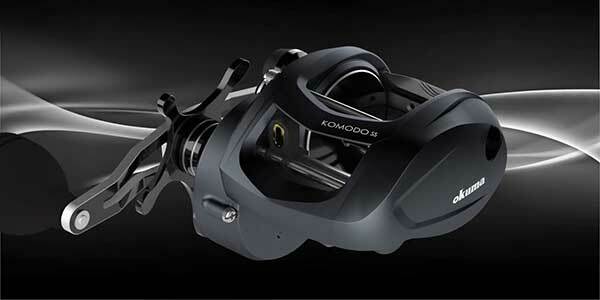 However, the overall casting performance of the Okuma Komodo SS reel is perfect. The handle of the Okuma Komodo SS is very long, and it provides a lot of leverage and cranking power and its internal gears respond nicely. Even when you throw larger baits like Bucktails and Bull Dawgs, the reel will still perform remarkably well. The main gear is made of stainless steel for ultimate strength and power. This shows that the power that comes with this reel is large enough to handle even the most massive monster musky. However, a little improvement on the Power handle of this reel (making it slightly flatter), will make it easy to grip and crank. This Okuma Komodo SS reel makes use of a centrifugal braking system. This is good for the reel, and it makes it easy for maintenance. What you need to do is to do all the necessary adjustments and maintenance before dipping into the water to reduce the probabilities of losing any of the parts. The braking system is simple to adjust and reliable. On both high and low settings, the drag that this reel provides is smooth and reliable. There is no issue with the drag on the Okuma Komodo SS and you will experience smooth fishing. With a flatter and ergonomic knob design, the performance of the Okuma Komodo SS would be increased. There are light tolerances at the side plate and the frame but the knob and the knob and handle tolerances need a little more fine-tuning. 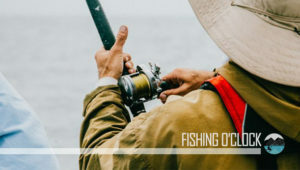 The retrieve of the Okuma Komodo SS reel is smooth comfortable, and it has a tiny bit of “looseness.” This looseness is caused by the little amount of back play present in the handle of the reel. It may be challenging to handle due to its 300 size as compared to a 100 size bait reel. However, you will get the value of your money since you can use it for bigger fish and bait. Concerning the size, the 364 model weighs 10.9 oz. 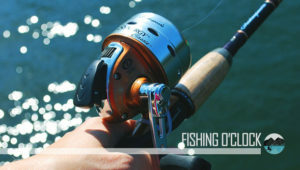 Above all, the dissembling and maintenance of this reel are simple and straightforward. The biggest power of this musky reel is its ability to be used for casting big, heavy baits; it can be used for Bull Dawgs, bucktails, or crankbaits. This Muskie reel is designed for serious fishing, thanks to its on/off clicker. This is a high performing and an extremely reliable musky reel. Since the only fault is the knob, the Okuma Komodo SS is still very much okay for a mid-price, solid musky reel. Okuma Komodo low-profile reels have been the choice of many people in the picky muskie fishing community. If you are looking for a high-quality baitcaster reel, the Okuma Komodo SS is an affordable and a nice option you can get.